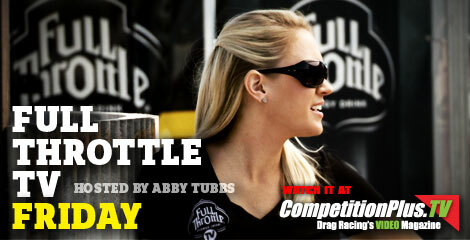 CPTV VIDEO FEATURE - IT'S RACE DAY AT FUNNY CAR CHAOS! VIDEO RECAP OF THE 2019 NHRA SPRING NATIONALS, HOUSTON, TEX. CPTV VIDEO FEATURE - IT'S QUALIFYING DAY AT FUNNY CAR CHAOS! Drag racer Tommy Arthur of Greensboro, N.C. was the picture of health until his kidneys began to shut down because of IgA kidney disease. Now he's in a race - not for his life - but to tell as many people as he can about getting their kidneys checked by a doctor and the need for organ donors. In this special video from the University of North Carolina Health Center, Arthur discusses how he’s using the drag racing platform to bring kidney disease awareness to a demographic known for their tendency to put most everything ahead of getting the proper check-ups. NAPA Funny Car Driver Ron Capps is a huge music fan. In this Full Throttle TV Friday at CompetitionPlus.tv, Capps give fans a taste of what he's rocking out to when he's not driving a nitro funny car going Full Throttle. Keep up with this weekend's action at the K&N Spring Fling 20's live from Bristol Dragway in Bristol, Tenn. This additional episode will go around the horn in the Funny Car and Top Fuel ranks from best friends and Funny Car racers Tony Pedregon and Bob Tasca III to Atlanta’s Bob Vandergriff. Clay Millican talks about his new sponsor Parts Plus and upcoming MTV2 show and Shawn Langdon talks about what it is like to continue his progression as one of the up and coming Top Fuel drivers. Fans will also get a great view of Robert Hight’s Auto Club Ford Mustang thanks to the FRAM in car camera. Race winners Jack Beckman and Antron Brown completed a Don Schumacher Racing double up in the Nitro categories and they will take Nitro Rewind viewers round by round through their days. 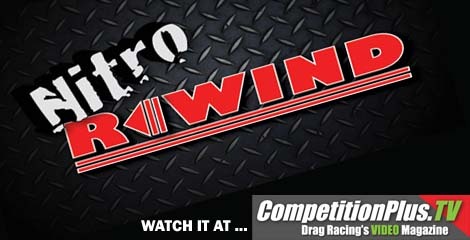 introThis week’s episode of Nitro Rewind will preview the 23rd annual O’Reilly Auto Parts Summer Nationals on the NHRA YouTube channel. The show, an internet based broadcast, is hosted by Bill Stephens and features interviews from Top Fuel and Funny Car NHRA competitors as they look ahead to Topeka and review Atlanta’s national event. “Married With Dragsters” takes you to not only each of the Kevin and Kathy Fisher’s events, but what it takes to get there. The series will highlight the stick-to-itiveness needed when you have a husband and wife competing together at the sportsman level of drag racing. From the duties at their home office and shop to the sometimes very long hours on the road, and of course the racing itself, viewers will see there is a lot more to it all than what first meets the eye. 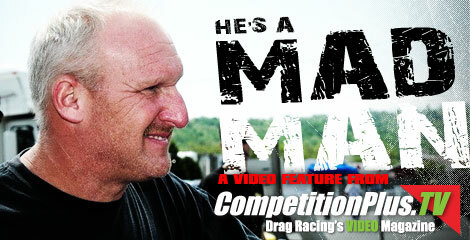 We hope you enjoy the latest episode of Married with Dragsters at CompetitionPlus.tv. He's the Mad Man. CompetitionPlus.tv profiles Frankie Taylor, 2010 ADRL Pro Extreme Champion, the professional racer who wins the most with the least. This feature takes you inside of a true drag racing "good guy". 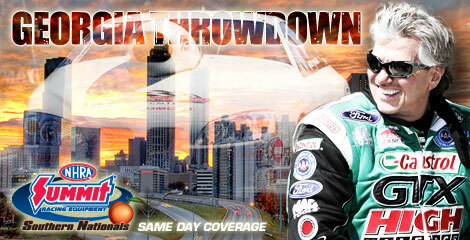 Visit CompetitionPlus.tv for more drag racing video features.